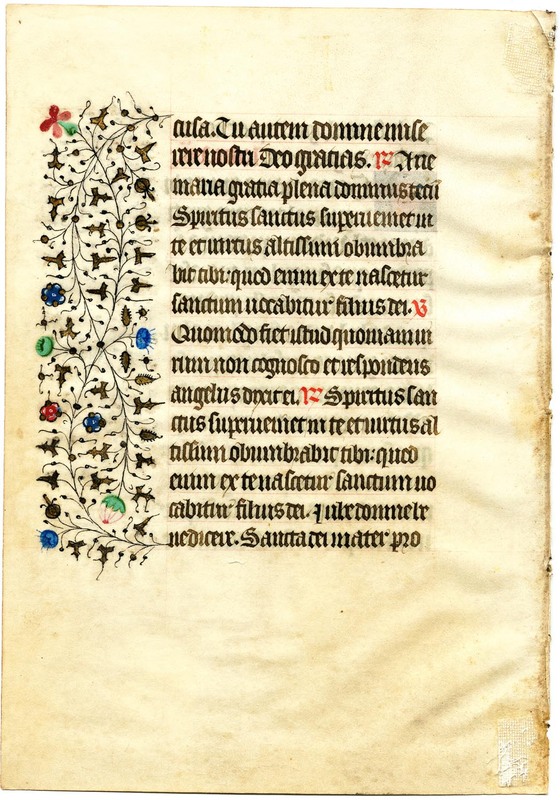 Text: This leaf contains text from the Office of the Blessed Virgin Mary at Matins, possibly in the Use of Bourges or Cambrai. 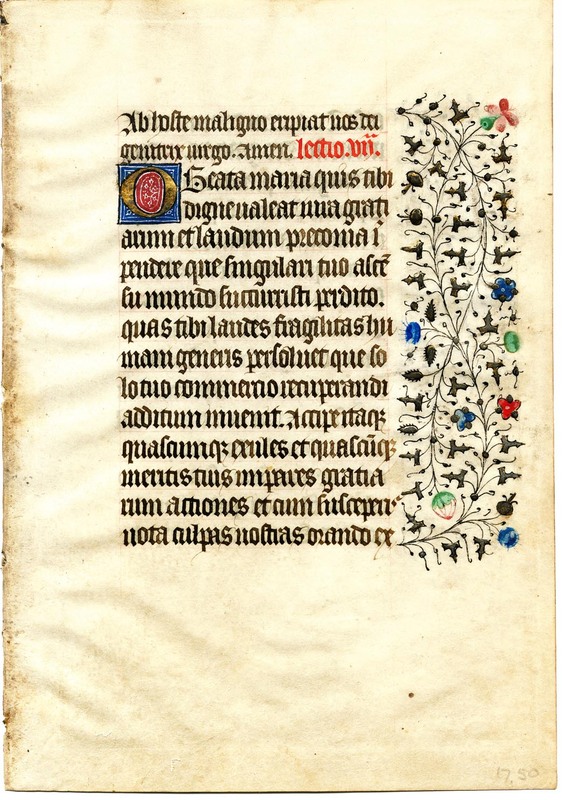 The recto features the text of the hymn "O Beata Virgo Maria," written by Bishop Fulbert of Chartres (ca. 951-1029) and appearing in his Sermo IX, "De Annuntiatione Dominica." Ab hoste maligno eripiat nos dei genitrix virgo. Amen. lectio vii. Rescue us from the hosts of evil, virgin mother of god. Amen. Lesson 7.